A good pair of boots is essential to the job performance of EMTs and Paramedics. First responders will spend a lot of time on their feet in varying environments. During the course of their career, an EMT will go through a pair of boots about every 2 years. 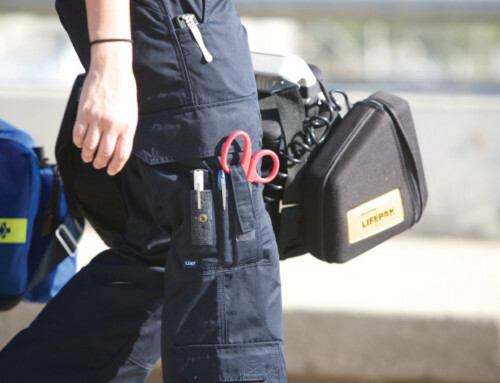 Most companies will buy their employed medical responders a new pair every year. Usually, there is a reimbursement program or some sort of agreement to issue boots to employees. This is typically done through an employee’s uniform balance. A uniform balance is an amount of money that a company sets aside for the purposes of keeping uniforms looking new and fresh. This includes boots. Many times, an employee’s boot allowance is drawn from this uniform allowance. Getting a good pair of boots for the best price is essential. When evaluating a pair of boots it is important to remember that an EMS providers boots are one of the most important pieces of equipment they will own. Not only should they be waterproof, pathogen proof, and breathable. Gore-Tex or some other advanced material based waterproofing is preferable to leather. These boots are usually more comfortable and have less odor after wearing. The following list will be sorted into four categories. The first category will highlight boots that do not adhere to any sort of budget. These are simply the best boots on the market in our opinion. The second category will feature boots that are in the medium range as far as price goes. The last category will focus on entry level boots. Quality professional footwear that is selected with tight budgets in mind. are not concerned with a pricetag. boot that wont break the bank. The first 5 boots on this list are, in our opinion, the de facto best boots on the market. In this first list we did not pay attention to price or budget but on quality and features offered by the boots. These boots are worth every bit the price but may be out of the range of some budgets. Danner is a USA based company that makes some of the best boots in the industry. The Danner Acadia 8″ Boot is the best EMS boot. These boots are super comfortable, durable, and eligible for Danner’s Boot Recrafting Services. This means that, with proper care, these boots will outlast any other boot in this list. The Acadia comes available in many styles including insulated and non-insulated styles as well as a 6″ shorter variant called the Blackhawk II. These boots feature the Gore-Tex lining so that your feet are kept dry and the boots still breathe. The Acadia also features Danner’s Vibram® Kletterlift Outsole for both comfort and stability on wet and dry surfaces. The outsole is also 100 percent replaceable through boot recrafting. A fiberglass shank is also included for protection against potential punctures from stepping on objects. Danner boots are also protected by a 180-day warranty. The Apex Waterproof 8″ Fire and Safety Boot is 5.11’s complete boot. This tactical footwear is designed to withstand the elements. This boot is a great choice for an EMS provider due to its eVent™ bloodborne pathogen waterproof membrane lining. The Apex is designed for all-day wear and long shifts. This is a tough boot designed with comfort in mind. The Apex also features the VIBRAM Ananasi outsole. This outsole is fully replaceable and has excellent grip on wet and dry terrains. 5.11 has partnered with NuShoe and the Apex boot is fully restorable. This means that, with proper care, this boot will last the responder longer than other boots that do not have a replaceable outsole. The National Tactical Officers Association reviewed this boot where it received an overall score of 4.23 out of 5. If you are looking for comfort then look no further than the Under Armour Infil Ops Tactical Boot. Under Armour’s tactical boot offering is one of the easiest to wear boots on this list. The boot features Gore-Tex lining and is 100% waterproof. The boot is also one of the lightest on this list and has a VIBRAM outsole for superior grip on a variety of surfaces. For the EMS provider, this boot offers superior comfort for long shifts on their feet. The Under Armour Infil Ops is breathable and features anti-fungal fibers that prevent odor and athletes foot. The Full-length EVA midsole with internal wishbone TPU plate prevents punctures. The boot is constructed with leather and textile. If you are looking for a comfortable boot with little break in time, then consider the Under Armour Infil Ops Tactical Boot. Under Armour offers a 60-day return policy with proof of purchase. The Haix Airpower XR1 was developed with the wilderness firefighter and EMS worker in mind. This boot is NFPA certified for wildland firefighting and EMS. The XR1 is designed to form-fitting and includes a composite safety toe. These boots are very comfortable and include arch support. The Airpower XR1 lacks a side zip. The only reason I mention this is because these boots have a unique lacing system that allows for the boots to be put on and off easily. This is accomplished by a front zipper that tightens the laces when you zip the bootup. Given that this boot is fire certified the idea is that they will be exposed to heat and a side zipper boot could actually burn the wearer due to the metal of the zipper heating. Most side zip boots do not offer insulation against extreme heat under the zipper. However, the Haix incorporates the front zipper to allow the convenience of a side zipped boot with the safety of an enclosed boot model. Haix offers a 1-year limited warranty for this product. Danner’s second entry onto this list is also an NFPA (National Fire Protection Association) certified boot. The Wildland Tactical Firefighter Work Boot is an excellent choice for EMTs and Paramedics that are looking for a boot durable enough for the harsh conditions of wildland firefighting and comfortable enough for long shifts on their feet. The boot features a rough leather construction and a Vibram outsole for great traction on a variety of surfaces. These boots require very little in terms of a break in period. Danner is a US-based manufacturer and these boots are made in the USA. It should be noted that these boots are not waterproof and are offered as an alternative to the Hiax Boots above. The next five boots on this list were selected for with the midrange purchaser in mind. Some companies will buy an EMS worker a pair of boots every year or every two years. However, it is likely that there is a limit in how much an EMT or Paramedic can spend on the boot. 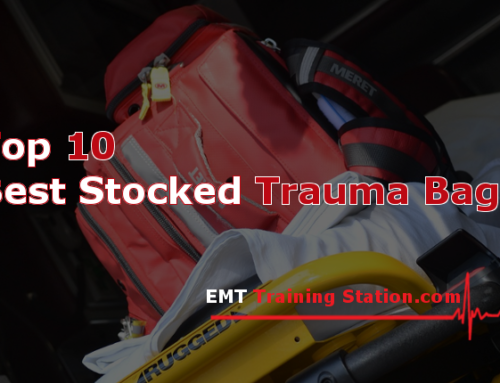 This list is focused on the best possible boot that should fall within the allowance that an EMS company will provide its workers. 6. 5.11 A.T.A.C. Storm 8″ Side Zip Boot – Authors Pick! This is my most recommended boot. The 5.11 A.T.A.C Storm. I have owned multiple pairs of these boots and they are my preferred EMS boot. The typical lifespan with proper care is around 3-4 years. These boots stand up to the harsh Michigan winters and the road salt that comes with it. They are very comfortable, the shock absorbing heel is perfect for being on your feet all day. The 5.11 A.T.A.C Storm boots are my go-to footwear for the field. The A.T.A.C. Storm is very lightweight and feels like wearing a sneaker as opposed to a 8″ boot. They are waterproof and extremely breathable. My feet always stay dry, and that is important. Working with wet feet is not only an uncomfortable experience but prolonged work in those conditions can be unhealthy. Moisture-wicking boot socks are also a good addition to an extremely comfortable work experience for long hours on your feet. These are a great duty boot for those that are looking for a quality product that falls under most EMS companies boot allowance. These boots are non servicable. Thorogood is an American Boot company that has been around since 1892. Their boots are American Made and tough. Gen-Flex boots are very comfortable. Once you break them in. I owned a pair of these for almost 3 years. I bought them because the uniform supplier my company was using did not carry the 5.11 brand. I gave these boots a try. I was not disappointed. They look sharp and handle the rigors of the road. I found that my 5.11’s lasted a bit longer, but as far as comfort goes they are about equal. Again once these boots are broken in. Prior to breaking them in these boots are stiff, they took a bit to get used to. The Thorogood Gen-Flex Jump Boot is a strong boot for any street EMT or Medic. The Kinetic GTX Uniform Boot is a lightweight, agile, and responsive offering from Danner Boots. These boots are one of the lowest priced boots that offer the Gore-Tex waterproof liner. These boots were intended for the police officer market and function superbly in urban settings. If they are fantastic for the boys in blue then they are perfect for the street EMT or Paramedic. The Kinetic features a slip-resistant rubber outsole with good traction on wet and dry pavement. Its full-grain leather build allows for the boot to be polished and maintained with ease. They also feater rip-stop nylon construction for added durability. The boots themselves will outlast the outsole which, sadly, is not recraftable. While the boot lacks a side zip, they are equipped with speed laces. While these boots are probably the priciest of our midrange offerings they are probably the best quality boot you will find in its category. The only reason this boot is not the authors choice is that the price might put it outside the range of some EMS companies boot allowances (they were at my company). The comfort pick on our mid-range list. The Under Armour Valsetz is a tactical boot that thinks it is shoes. Another offering that was designed to be police footwear, these boots warrant consideration for EMS professionals as well. These boots fit like a second skin and are extremely breathable. They are perfect for workers that are employed in hot environments. These boots are great for responders that work in controlled areas (like a factory setting) or that function as security guard EMTs. These boots, however, would not be recommended for a street medic as they are not as durable as other boots. The comfort of this footware comes at a price. Perfect for the security guard EMT market. The Classic 9″ side zip boot by Original S.W.A.T. was the very first boot I ever owned in my EMS career. I bought these boots because I needed a boot as part of my clinical rotations in EMT school. These boots served me well and provided me with an excellent experience. I kept these boots as I entered the EMS workforce back in 2006. It was February, and it was a snowy Michigan winter. Though the Classic 9″ is not waterproof my feet stayed dry. I just would not walk through deep puddles with these boots. These are included on this list because they are a very affordable and good quality boot. It occupies a niche that exists between what I would rate as a mid-range priced boot and entry level boot. These boots are constructed of durable leather and canvas and feature a side zip to make these boots convenient for station duty boots. Easy on and easy off. Your feet are supported by a steel shank, which also provides protection from punctures. The side zip is durable with YKK zippers. This is a fantastic first EMT boot, or as a mainstay for workers that do not have to worry about water. The canvas construction makes the boot very breathable which is important for long hours on the job. The last five boots on this list were selected with the entry-level EMT in mind. Either they do not have the budget for more expensive boots, they are budget conscious, or are a student. 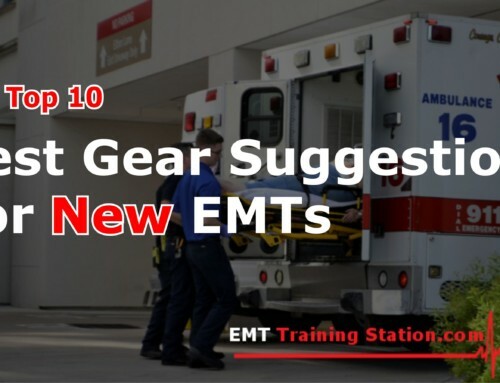 Even if an EMS company has a uniform and boot allowance in most cases the EMT will have to provide their first pair. The following boots cost around the same price as a pair of shoes. 11. Bates Ultra-Lites 8 Inches Tactical Sport Side-Zip Boot – BEST FOR THE MONEY! Bates Footwear is a very good and respected brand of tactical footwear. I have owned 1 pair of these and I was happy with the boot. The Bates Ultra-Lights have features of more expensive boots at a price that fits into any budget. My pair lasted 2 years before I had to replace them. This was mostly due to wear on the soul than on the boot itself. They are breathable, waterproof and comfortable. This boot lives up to its designation of Ultra Light. These boots feel more like athletic shoes than boots when worn. They provided excellent heel support and I would recommend these boots to a new EMT or an EMT Student, due to the low cost and durability. I prefer the 5.11’s as they are more comfortable to me but these boots are probably the best value for performance. Amazing Boot has features of more expensive boots for a budget price. At first, I was going to dismiss the Maelstrom TAC FORCE 8. How could a boot this cheap be any good? The TAC FORCE fits the definition of a good cheap boot. These boots are made of leather and nylon fabric, they are not waterproof, however, they are durable. They feature YKK side zippers and a moisture wicking lining to keep your feet dry during long shifts. If you absolutely need a bottom budget quality boot then give these a try. You will be surprised at its durability and comfort. Nothing much to say here. Its a good boot at a good price. Most people know Smith & Wesson as a firearm manufacturer. However, recently this company has branched out into the tactical apparel market. The Smith & Wesson Breach 2.0 Tactical Boot is their entry into the tactical footwear market. This boot is a decent offering for police and EMS personnel. S&W puts the same craftsmanship into their boot as they do their weapons. The Breach is constructed of leather and nylon and features a gusseted tongue to keep out dirt and debris. The boot also features an EVA Midsole gives lightweight comfort and includes a steel shank for added support. The boot is not waterproof, however, S&W does offer a waterproof version of this boot. Take everything that is great about the A.T.A.C. Storm and lose the waterproof lining. The 5.11 Tactical A.T.A.C. 6″ Side Zip Boot is a great fitting boot with amazing support and comfort. This boot is virtually identical to the Storm, with its slip-resistant outsole, its non-metallic shank, and its moisture wicking lining. The A.T.A.C. is a smart choice for the buyer that wants a good boot at a good price. Under Armour’s Stellar Tac Tactical Boot rounds out this list. Ironically I feel this is the most durable of their offerings. This minimal designed is designed for police and first responders. It features a lightweight shoe feel with the ruggedness of a boot. This leather and textile boot is a good option if you are concerned with comfort. The boot features a molded EVA midsole with reinforced TPU shank for protection & support. While not waterproof, these boots feature a quick dry technology and a moisture wicking lining to keep feet comfortable. 1. EMS duty boots must be compliant with foot protection standards. The Occupational Safety and Health Administration (OSHA) requires under Regulation 1910.136 that employers provide protective footwear for personnel who work in establishments or areas where there is a likelihood of foot injuries can happen in places where their lower extremities are significantly exposed to hazards. For instance, stepping on a needle. Will your boot protect your feet from punctures? Although OSHA sets safety rules, it is the American Society of Testing and Materials (ASTM) which sets the standards. ASTM standard (F2413-05) refers to the minimum requirements for design, testing, performance, and classification after having passed the first requirements of impact and compression resistance of the footwear. Impact test – EMS boots should need to meet either 50 or 75 testing criteria, this is measured by dropping a weight from a predetermined height at a specified speed on top of the toe cap. I/75 rating will likewise protect the toes from impacts of up to 75-foot pounds. Compression test – the boots must satisfy one of two criteria for compression rating, by applying a measured load up to the specified number of pounds needed to cause the toe cap starts to crush or break. C/75 rating protects the toes from a maximum of 2500-pound loads. 2. EMS work boots must protect the EMT from job hazards. Protective footwear comes either as steel-toed or with composite toe cap. Either way, these “shields” are designed to keep toes safe. EMS boots should keep feet safe. Look for boots that comply with the above compression and impact tests. Make sure the sole is sturdy, many come with a hard plastic plate on the bottom. Boots should be waterproof and slip resistant. The treads should have a good grip on many different surfaces. 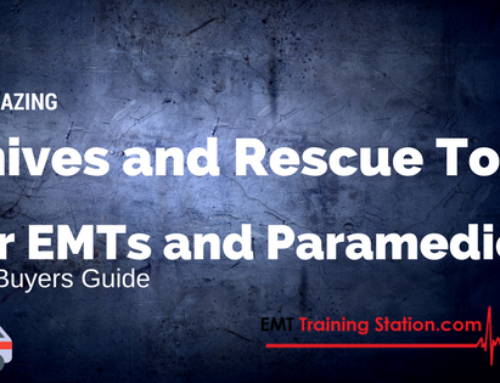 EMTs and Paramedics will encounter these common job hazards. Hazardous Materials on medical scenes, such as sharp metal, broken glass, chemical substances. Exposure to bio-hazards like blood, vomit, and feces. Think about all the places an EMT or Paramedic will have to walk. All of that environment the boots are exposed to. A good pair of boots, along with gloves, are a medical responder’s first line of defense in the field. 3. They must be well-fitting. Be sure that boots fit correctly. Buying the wrong size of boots will negatively impact the job performance of emergency personnel. Before purchasing a pair of boots, be sure to know your size as well if you need regular or wide fitting boots. Side Zippers are a huge benefit as they allow EMS providers to get in and out of boots quickly. For example, a crew is stationed at a station (IE a firefighter). Having Side Zip boots allows them to remove the boot with ease and put them back on when the need arises and they responder has to get out the door. 4. The boots must be comfortable. EMS personnel tend to work long shifts. 12 or 24 hours is a long time to spend in a pair of boots. It is important to get materials that breathe. Look for boots that are made from waterproof materials like Gore-Tex or some other advanced material. All leather boots are not recommended, as there is little airflow and this can result in blisters. 5. Look for reputable brands. Brand name boots typically are better quality. They have the market research and resources to ensure that the product being produced is not only quality but complies with safety standards. 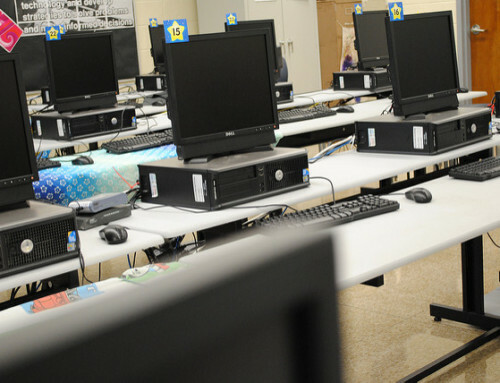 Brand name companies usually offer replacement programs for defective products.